I’d always wanted to do a lap of the country with no time constraints so I could capture some awesome landscapes. Swagman’s Studio came about as I felt the name summed up exactly what I was doing. Travelling around the country on a minimal budget sleeping under the stars as often as I could. 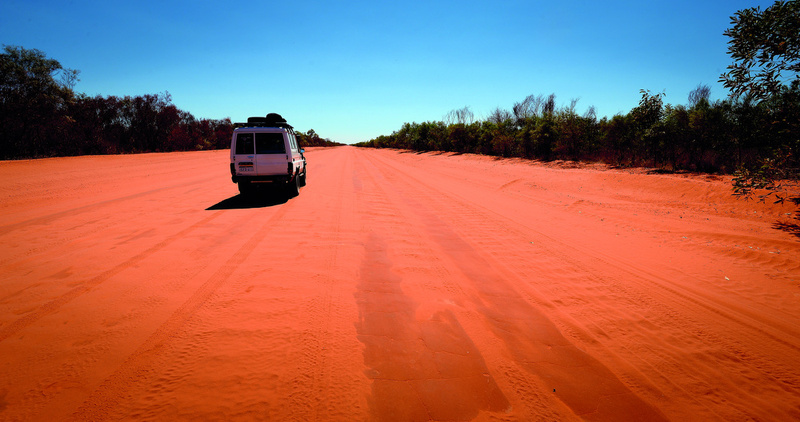 The outback was my studio for 12 months. 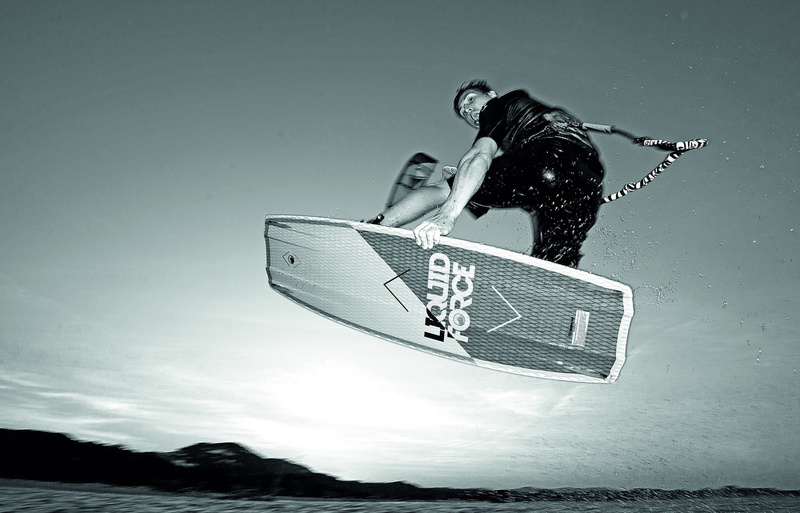 How did you get into photographing kiting? Who have you worked with and where? I started seriously getting into kiting photography after I spent some time on the Cocos Islands the first time in 2012. I went over on a trip with Zephyr Kite Tours and casually started getting a few shots of the other people on the tour. Everyone loves a few photos of themselves. At the end of the trip I showed Jen, the owner, my shots and she gave me credit for a future trip in exchange for the rights to use some of the shots commercially. The next year I went back to the Cocos for a month as a staff photographer when Tom Herbert (North team rider) was running a progression clinic over there with Zephyr. By this point I had invested in some higher end gear and a few more lenses so I was able to start trying some different techniques. We had a great time, got some awesome shots and both Jen and Tom were stoked with what I delivered. After that I would spend time down at the beaches in Perth where I lived, snapping away and trying to improve my skills. 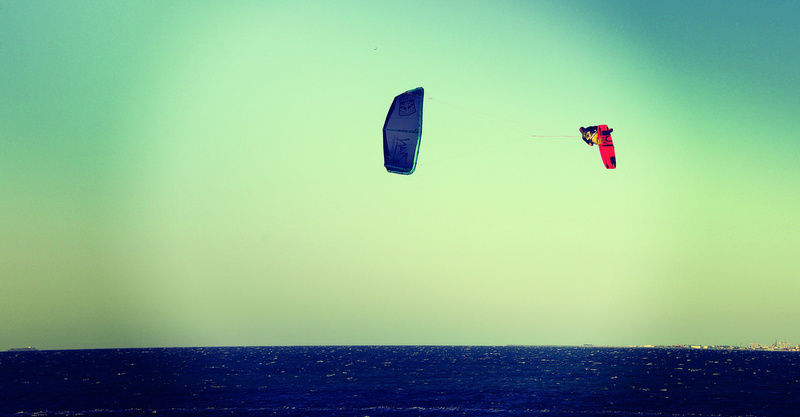 My local was Woodman Point south of Fremantle, which is home to some really skilled kiters. I’d go down there whenever it was blowing 30+ knots and get some shots of the guys busting out some huge megaloops. This year I spent three months up at the Australian Kite Surfari in far north Queensland doing some work for Ant and Paulie. I rolled in to Cairns in June and shot Ant an email along with a few of my photos to see if he could use a photographer for a couple of weeks. He said yes so I shot up to Cape Flattery expecting to take a few snaps, kite for a week and then head on down south; it didn’t quite work out that way. I got up to cape flattery and was blown away by the setup there. ant has done an awesome job setting up tank town. talk about a comfortable place to stay just a few metres from the water. i hung around for a few days taking shots of the camp setup, people riding, landscapes etc and showed ant a few shots. he was stoked and told me i could hang around as long as i liked. they put me up and fed me and allowed me to sell photo packs to clients in exchange for a few shots to use commercially. Elliot Drury, Melan. Cape Flattery, Australian Kite Surfari. I ended up hanging around there for three months, they would be up there with the best three months of my life. A day at the Australian Kite Surfari generally involved waking up, kiting, eating Ant’s big breakfast, kiting, lunch, kiting, beverages, maybe more kiting (only if sensible amounts of beverages had been consumed, of course), dinner, beverages, laugh at the pig (yes, they have a miniature pig), sleep. What more could you ask for? We had some great riders come through on all of the trips however the highlight would have been the Kitepower progression camp with Elliot Drury. All the riders on that trip were great but Elliott Drury, Elliott Bradshaw and Mark Bateman were the standouts. Having Elliott Drury there was a good opportunity to bring out the wide angle lens to set some sunset /flash shots. Generally, I’ll only get the wide angle out for riders I’m really comfortable with. I’ve been cleaned up a few times by people trying to get too close and I can tell you fins hurt. 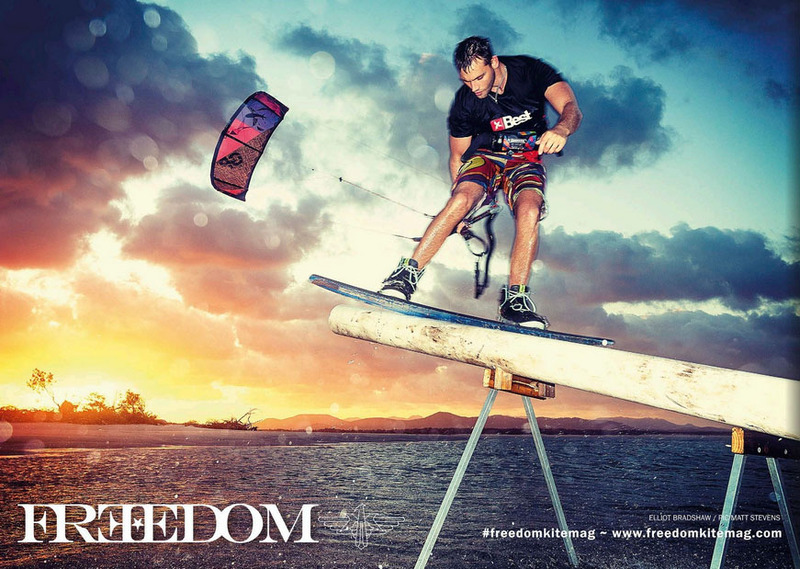 Recently you took some solid time off work to travel Australia, and get right into kiting and shoot it as well? I’ve worked in the mining industry for the last nine years and I had got to the point where I was seriously burnt out with my job. I took a step back, looked at what I was doing and thought, “Look, either I can keep on grinding away at something I’m starting to really hate or I can take a break and just see what happens”. Even though it was a risky time to do it, with the mining downturn etc, I decided I had to do the latter. So I bought myself a cheap 1993 Landcruiser Troop Carrier, decked it out with all the basics you need to survive, chucked my cameras and kites in and threw in the job. At this point I was already massively into kiting. My roster gave me nine days off at a time and if the wind was blowing I’d spend every day down at Woodies kiting. The plan for the trip was to follow the wind around the country getting as much time on the water as I could and hopefully also making a few dollars here and there taking photos of people kiting and surfing. I’ve always been into flatwater, although throughout the trip I did start playing with some smaller waves, it’s impossible not to give it a go when you’re working your way up the west coast. The trip started off in Exmouth as it was, relatively speaking at least, close to the mine site I had just left (~1200km) I hung out there and had a great time with Tom and Jana from the Exmouth Kite Centre for three months before following the wind down to southwest WA. After that I worked my way clockwise around the country following the wind. Are you sponsored and did you manage to get any sponsors for your trip? What gear do you ride? No, I’m not sponsored and I was far too lazy to look for sponsorship for my trip. The whole idea of the trip was to completely unplug, do things simply and on my own terms and at the time the last thing I wanted to be doing was chasing sponsors. I started off flying a Naish X2 when I first learnt in 2004. I’ve still got it in a storage unit. It’s in really good nick, one day I’ll pull it out and give it a shot again; it kind of scares me though. When I restarted in 2012 I was riding Ozone C4s that a kite shop recommended to me as a learner kite, good one. Eventually I moved on to Edges as I never really got into unhooking, I went in the more freeride/airstyle direction. When my Edge died I moved on to Core Riots and I can’t see myself moving off them any time soon, they are awesome kites for old-school hooked-in riding. The new XR4 is a weapon. Board wise I have a Shinn Monk, it’s an awesome board. After demoing a Bronq I am looking at upgrading though, damn they are nice. CAPE LE GRANDE NATIONAL PARK, WA. What was your touring vehicle? Did you do much beach driving? Any mods to the ute to help you out? My home for the year was a 1992 Toyota Landcruiser Troopy dubbed Frank the Tank. Frank was pretty much as stock as they come with the exception of a 2-inch lift. Frank had a tough life, he spent most of it as a Telecom vehicle in QLD and somehow made his way to WA. When I picked him up the odometer showed 172,000km, which I had some slight doubts about. He had a massive amount of character; no air con, dodgy wiring, clapped-out suspension, rust, pretty much nothing worked in him, leaks – you name it, Frank had it. I spent a few hundred bucks on wood and a mate helped out with a false floor for the back. I chucked in a UHF, threw on an awning and roof racks, sewed up some very, very dodgy looking brown curtains and threw a $90 Clark Rubber mattress in the back. Here is my number one tip if you’re planning on doing something similar, whatever you do do not get a $90 Clark rubber mattress! It was horrible. This shot of Elliot Bradshaw made the back over of issue 04. Despite his many, many flaws Frank smashed it right around the country. I threw everything at him and more than that, I had realised I could never sell him at the end of the trip so I threw it at him brutally. In one year we covered 55,000km and for the most part they weren’t easy kilometres. If you’re looking at doing a trip like this get a Land Cruiser, they are awesome. You don’t have to mod the hell out of it, these days they will get you pretty much anywhere you want to go stock. We did a huge amount of beach driving, which is certainly not the troopy’s natural environment. 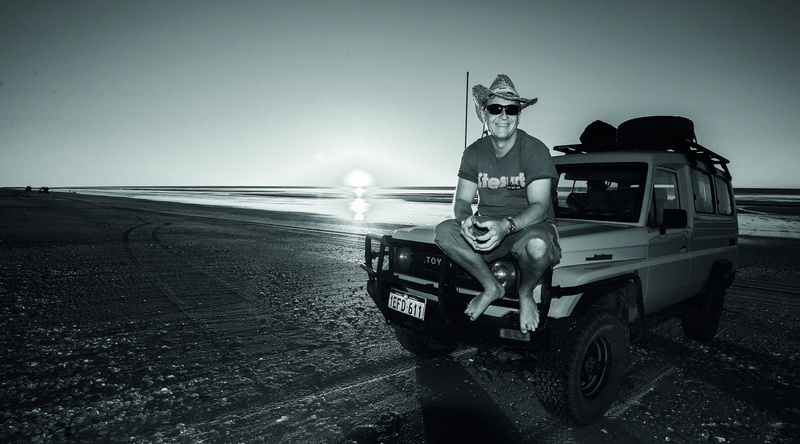 driving 2+ tonne of long wheelbase, non-turbo truck on soft sand is always a challenge. that said there weren’t too many places that we couldn’t go by just deflating the tyres and i could count on one hand the number of times i got seriously bogged. doing a trip like this you spend a huge amount of time either camping on a beach or hiding away in the dunes. 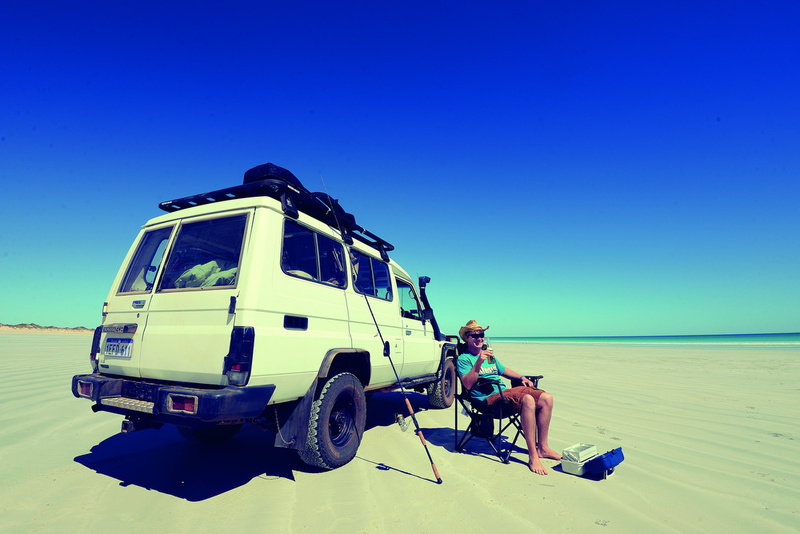 wa has some amazing 4wd access beaches and if you look in the right places you will find some incredible places to camp. 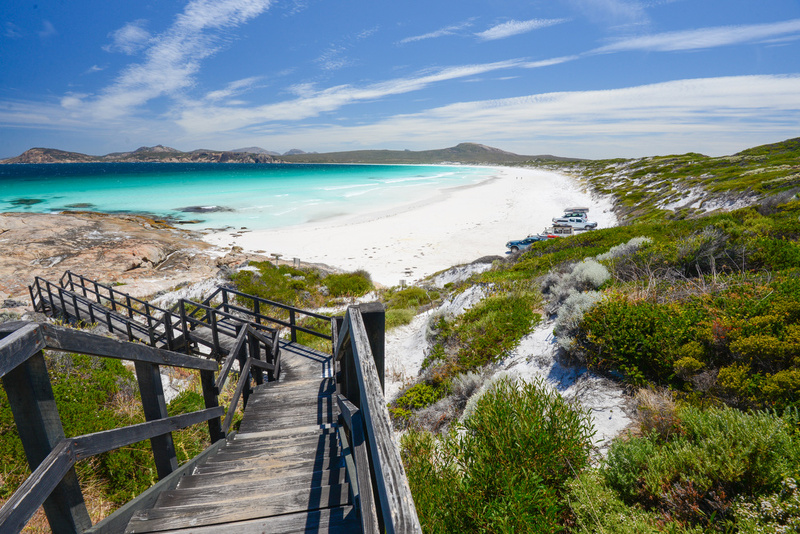 nothing beats waking up to white sand, blue water and a sea breeze. Who are some kiters you travelled with / photographed? The majority of kiters I met were local riders, I’ve only been lucky enough to kite / work with a couple of pros. Tom Hebert, although it was a separate trip, was a highlight for sure. We had an awesome time on the Cocos and we were able to get some great shots. The best thing about Tom is that nothing is ever too serious, one minute we’d be taking some sequences of a nuclear to blind, the next he would be taking the local kids for a ride on his back. Tom was also a massive influence on my riding too, seeing him do his “new cal style” big air is what made me go in that direction with my riding. 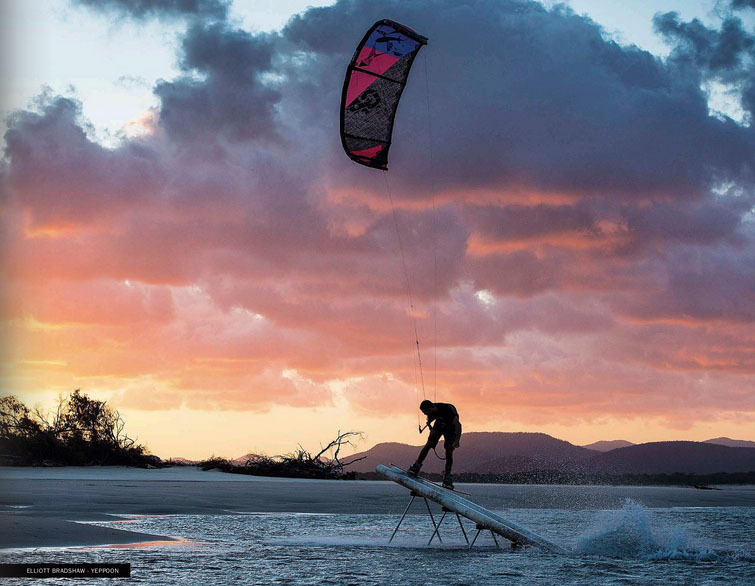 The Australian Kite Surfari trip let me work with a few great riders. Elliott Bradshaw, Mark Bateman and the most well known being Elliott Drury. Again, it was a pretty laid-back affair, everything was fun and casual. Taking photos of Elliott was a very different experience for me as I haven’t taken a huge amount of photos of wakestyle riders. We had a few sessions with a long lens before the wide angle came out for some sunset shots. The Australian Kite Surfari lagoon is the perfect place for kite photography, since the water is usually waist-to-ankle deep we were able to walk right out in the lagoon to get a nice backdrop. 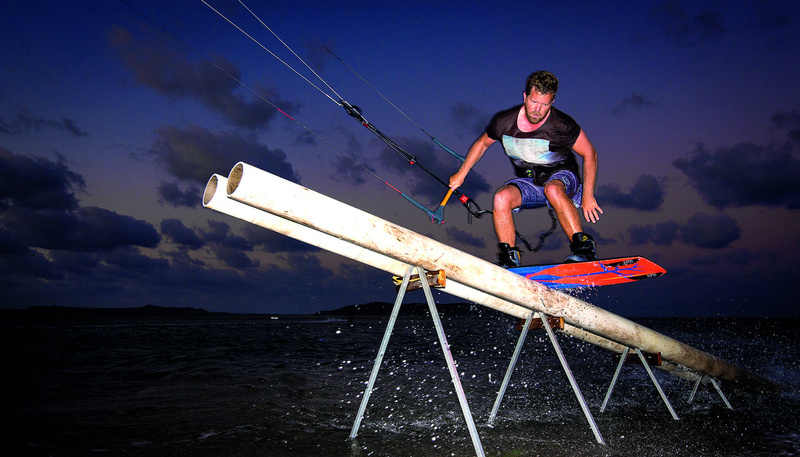 Run us through the magic sunset rail shoot in Yeppoon on the back cover you scored? How did that all come about? Without a doubt, one of the best kiting / photography afternoons I’ve had in my life. When Elliott and Mark left Australian Kite Surfari they told me to swing by their local, Yeppoon, if I got the chance. I think it was about a month later when I finally managed to put the beer down and peel myself off the comfy chairs at AKS and start heading south. Elliott and Mark had made Yeppoon sound pretty awesome so there was no way I was missing out. We met up at their local spot and everything had come together. The tide was going in the right direction, the wind was perfect and the water was warm. Mark and Elliott rolled up with their slider on the back of the ute ready to go. We headed out early in the afternoon and made the most of the flat water. 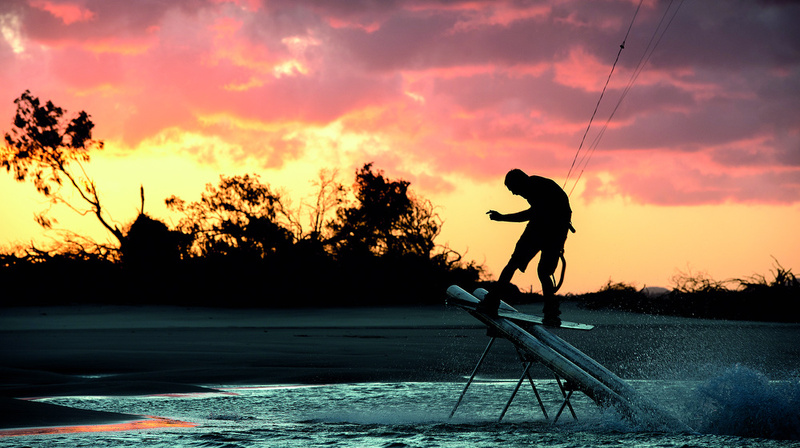 The guys were throwing down some wakestyle moves and I was putting my new 12m Core XR4 through its paces and loving it. The water was getting shallower as the sun started going down so it was time to throw the slider in the water. The light was perfect so I decided to grab a cold cider and the camera and get a few shots of the guys. It was one of those shoots that just comes together perfectly. The sunset was awesome, the wind direction allowed for some great compositions and the guys were killing it and having a great time. I was stoked with the photos we got from that session. I was trying to go for a slightly different effect using the slower flash sync speed, I wanted to keep some sense of movement in the pictures. We kept going until the sun had well and truly set. After that the guys headed back into town and I parked the Troopy up on the beach, grabbed a beer, turned up the music and settled in for the night. You must have got a lot of solo kiting in? I got huge amounts of solo kiting in, you really don’t realise how much empty coastline we have in Australia until you drive it. Even in popular holiday spots I quite often had the beach to myself. In Exmouth for example, even in peak season, I would quite often have Sandy Bay or Graveyards to myself. It’s nothing new to me really though, even when I lived in Perth I would quite often be the first person down to Woodies when the wind was blowing. Since I worked a mining roster I had a lot of weekdays off and because I’m a kiting tragic I’d be in the car and at the beach as soon as I saw a leaf move. I did try to eliminate as much risk as I could though. I always carried my Spot GPS / EPIRB around with me in case I broke a leg etc but really there is only so much you can do. Kiting solo has its risks, as does kiting with other people and doing any other sort of risky sport solo. How come we have no photos of yourself kiting? Part of the joy of being a professional photographer, you rarely get pictures of yourself. The main reason I don’t have many photos of myself is that I don’t like GoPros. I bought one years ago but I hate using the thing, I feel like a knob. Also when you’re taking pro photos of people all the time a GoPro shot taken with a selfie stick, or a soloshot with a long lens, just doesn’t cut it. I would rather look back at my shots of other people and remember the good times that way. For instance, I look back at the Yeppoon shots of Elliott and Mark and I remember the whole evening vividly. I don’t need a selfie where my head takes up half the frame to remember what a good time I was having. As you can probably guess I’m from the generation where taking a photo of yourself with your camera was considered super lame. At times people will offer to take my camera from me and take some shots, Tom did that on the Cocos and he got some great ones. But usually people want to be on the water riding. Was it an expensive trip? Did you just live off savings etc? Yeah it was expensive, unfortunately regardless of how you travel Australia is never going to be cheap. I lived off savings, I tucked a bit away before I started the trip and I also managed to sell / trade photos for accommodation. To put things in perspective though I think fuel alone cost me about $9k. I also had to resort to making Turbo Cider (Google it, it’s amazing) on the road as the beer budget was totally out of control. The majority of the time I would stay at very cheap campsites, national parks etc, but even that adds up fairly quickly. Caravan parks were a treat. Are you going to do it again (travel around Australia and kite)? Without a doubt I’ll do it again. I managed to kite dozens of locations on my trip and I think I missed just as many spots. The country is so big and the coastline is so amazing that you could spend five years travelling and still miss things. Without a doubt I’ll be doing it again, it’s just a matter of when. Tell us about your website? Can people order prints etc? At the moment I’m not selling any of my pictures, however I will be in the future. Currently the website is just set up to share my pictures and my experiences. Down the track, when I’m a little more settled, I’ll start selling them. While I’m in Egypt it would just be too much hassle. I’m hoping to do some gallery showings in the next couple of years, I’ve had a gallery in New York get in touch, which is pretty cool. The plan is to eventually sell limited edition canvas prints. Kite all winter in Far North Qld!